I have became a fan of the DHTMLX Ajax Toolkit Library after I used it in a “real world” java project for an european company. The main advantage of the tag library is that it affects only the view layer of the application, and can be used with any Java web framework (such as Spring), without spend time learning a new framework. 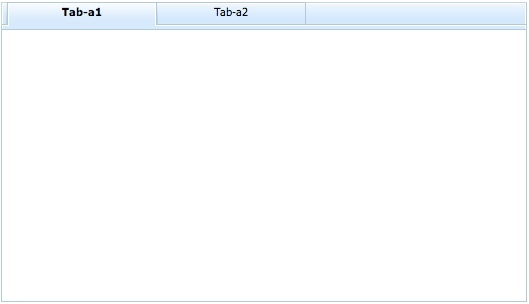 Let's start with a simple example to compare the code required to create a simple Tab Bar component as shown in the picture below. The code required using the Tag Library is short, simple to understand and maintain, which is very useful in projects with many pages. One of the powerful features available with the DHTMLX toolkit, is the ability to integrate a component within another one. 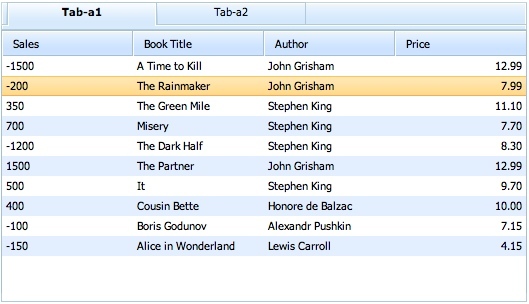 In the picture below is an example of a grid attached to the tab bar highlighted in the first example above. The Internationalization provides the ability to translate the labels in the user language. The tag library uses standard java resource bundles to store labels. The Java Tag Library provides fine-grained role and permission Security support. When a security constraint has been specified, the tag detects which code must be generated reflecting the security constraint to the component behavior. The library provides a SecurityContext interface which can be used for custom security implementation, specifying the implementation classname into a system variable.